This memorial is on the south wall of St Swithun’s church, between the south door and the memorial chapel. 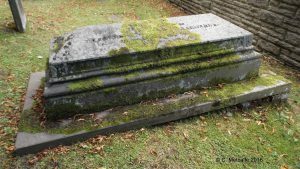 It commemorates the Reverend John Netherton Harward, who was the Vicar here from 6 June 1848 until his death on 24 November 1863. There is no mention of Harward’s wife on this tablet and I have found little information about her except that she was called Harriet, died 22 years after her husband, in 1885, and is probably buried with him in the churchyard in St Swithun’s, East Grinstead, in his tomb just behind the church hall. Harward succeeded the Rev’d Christopher Nevill, who died on December 15th 1847. Harward was evangelical in his liturgical taste, which may have suited the parish then. However, he did not get on with the Warden of Sackville College, the Rev’d Dr John Mason Neale. 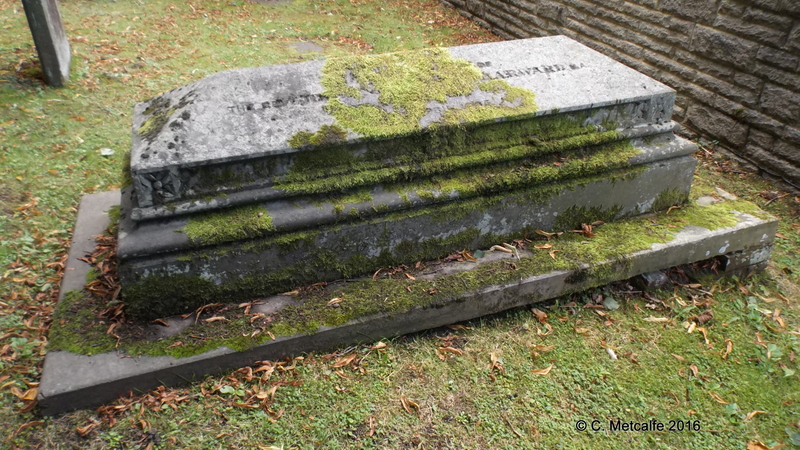 John Mason Neale was appointed as Warden of Sackville College, East Grinstead, in 1846 and remained in this post, despite many difficulties, until his death there, aged 48, in 1866. Christopher Nevill, Vicar from 1835-48, favoured High Church practices such as chanting during services. John Mason Neale’s son wrote that during Neville’s time as Vicar, the Neale family used to attend the parish church on Sundays in the morning and afternoon, walking across at the head of the Residents of Sackville College, for whom 4 pews were reserved. The grounds of the vicarage used to be open to the family as well. Things changed with the new Vicar in in 1848. 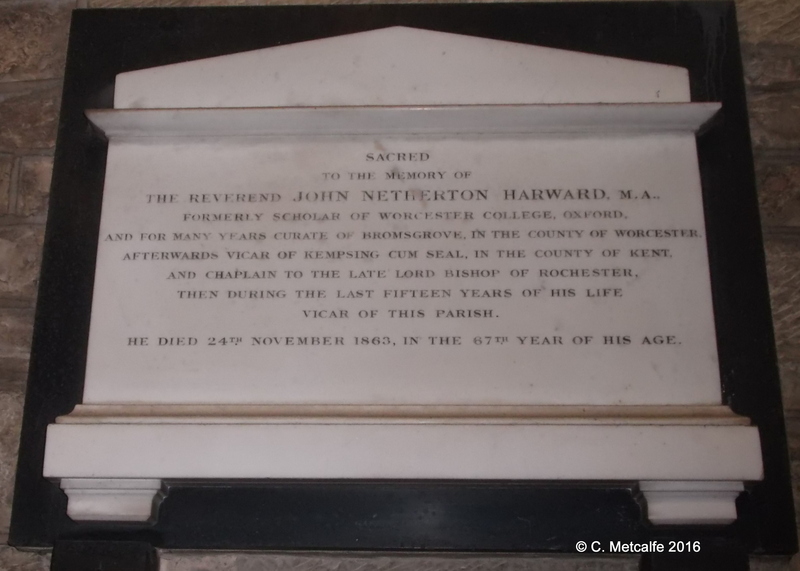 John Netherton Harward had very different ideas from the previous Vicar, and from the Warden. Mrs Neale once wrote to Harward, criticising the way he took services, claiming that he did not say the full words of administration at the Holy Communion, that he read prayers extremely slowly and preached long sermons, and that in one sermon he had apparently denied the doctrine of the Real Presence of Jesus in the Holy Communion. He replied to Mrs Neale ‘I pity your want of humility‘. Another flash point between the 2 men was the Crimean War of 1853-56. This war was fought against Russia, to protect Christians in the Holy Land. John Mason Neale believed that the British were on the wrong side. This war fuelled further ill feeling between Neale and Vicar Harward. One of Harward’s sons, Lieutenant George Sisson Harward, fought with distinction in the Crimea at the Battle of Inkerman. Another son, General Thomas Netherton Harward, served in the Indian Mutiny campaign and was mentioned in dispatches. Harward disliked the arrangements made by Neale for the funerals of Residents of Sackville College. According to Neale’s son, the custom at St Swithun’s was to have men carrying the coffin underneath a black pall that reached below their knees, ‘staggering along in the dark, like a monstrous 12 legged centipede’. For Sackville College residents who died, Neale introduced a bier or trolley to bear the coffin and a purple pall embroidered with one or more crosses. The embroidery was stitched by Lady Amherst and Lady de La Warr, the 2 Lady co-patronesses of the College, sisters of the late 4th Duke of Dorset. Neale also introduced kennel shaped coffins, which had crosses. The Vicar, Harward, wrote to the Bishop saying that the novelty of these coffins attracted undue attention, that he thought such a ‘blockhead‘ as Neale ‘beneath his notice‘. He referred to ‘Mr Neale’s fancy papistical mountebankism‘, and said that he was not content ‘to allow my churchyard to be made the theatre for his Punch‘. The Bishop’s chancellor replied that Harward could not refuse to bury a parishioner ‘on account of the colour and fashion of the funeral pall‘, so Harward had to put up with Neale’s ways. John Mason Neale had a difficult time as Warden and from 1847 was inhibited by the Bishop of Chichester from celebrating Divine Worship and the exercise of clerical functions within the diocese, because the Bishop objected to Neale’s ‘spiritual haberdashery‘. This was the sort of news that sold newspapers in the 1850s. The Brighton Gazette spent 10 years persecuting Neale. Neale was criticized for his High Church style decoration of the chapel, for allegedly holding services secretly with the doors fastened, for hearing confessions, for the new funeral arrangements, and for occupying quarters that could be used by the poor. The Vicar, Harward, fanned the flames of this story by telling the newspaper, ‘Not a single room has been furnished…the money has all been laid out in gew-gaw Popish chapel ornaments and a fine belfry of bells, which annoy me from morning till night.‘ Neale’s reaction was: ‘These are libels; I pray God forgive the author, as I do‘. The Bishop of Chichester finally lifted the inhibition on John Mason Neale in 1863. 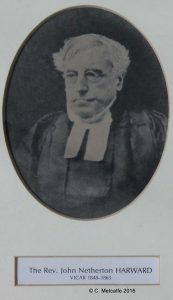 Harward’s successor was the Reverend John Peat, Vicar 1863-71, who got on well with John Mason Neale. This plain pedimented inscription to Harward, crafted by T. Gaffin, of T and E Gaffin, reads rather like a CV for Harward. It gives no hint of Harward’s quarrels with the Warden of Sackville College over deeply held religious principles, nor does it tell us of the role played in the British Army by his 2 sons.